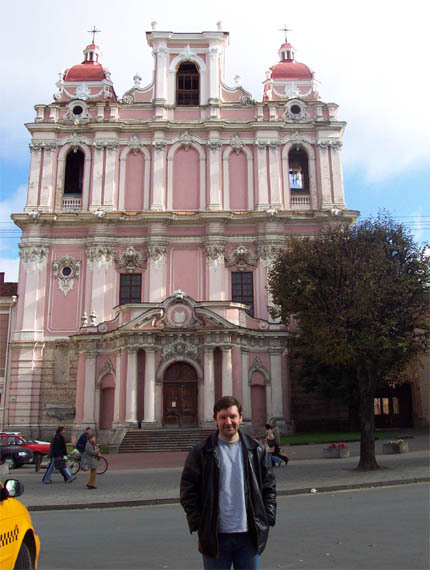 On October 8, 2003 my Estonian driver Öla met me at my hotel in Tallinn, and drove me on the direct route to Riga. This takes about 4 hours. We joked that Latvia should be called Flatvia because it really is rather flat. Latvia has 2.4 million people and about 850,000 are in Riga, which is the largest city in the Baltics. Today the population is about 57% Latvian and 40% Russian. 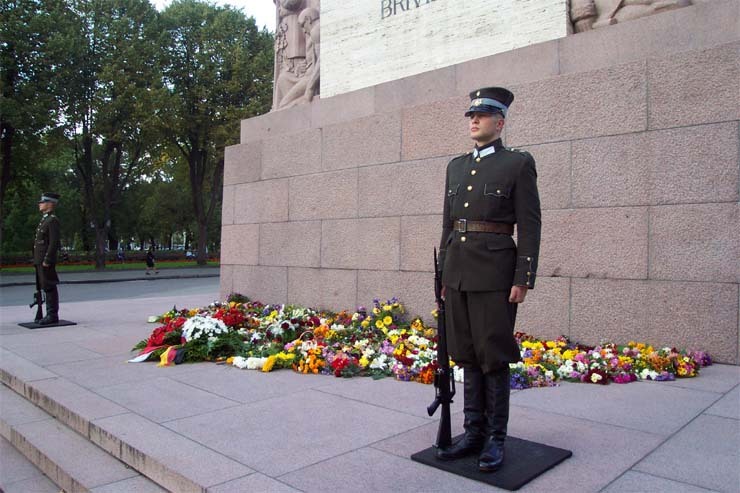 During the 51 years of occupation, about 550,000 Latvians were killed, murdered, deported or forcibly dispersed. Then to fill the population gap, the Soviets sent in Russians. This was a key part of the plan to Russify and eventually eliminate the Latvians as a separate people with their own language and culture. This is vividly documented in the Occupation Museum located near the river in the Old Town of Riga. I visited a photo show in the old Stock Exchange building where there was an exhibition of photos on the Independence movement including a short video which had a scene of Russian troops marching away followed by one of Latvian women waving good bye (and good riddance). 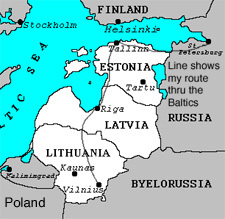 The "Baltic Way" or the "Baltic Chain" or "Hands across the Baltic" was explained in the report on Estonia. The "Baltic Chain" stretched from the Old Town in Tallinn, thru downtown Riga by the Independence Monument, as shown in the photo above, to the Old Town in Vilnius. Like the other Baltic countries, virtually all of the non-Russians participated. For example, my guide Signe and my driver Martins were part of the chain. Martins can remember it vividly. He was 12. He, his parents and 11 year old brother drove out on the highway to link hands. They were part of the 2,000,000 Baltic people who stood witness for their desire for independence in one of the most successful demonstrations in history. Two years later, Latvia was free. Riga is a impressive city. (See video overview.) It is very well built and the restoration from the occupation period is proceeding rapidly. 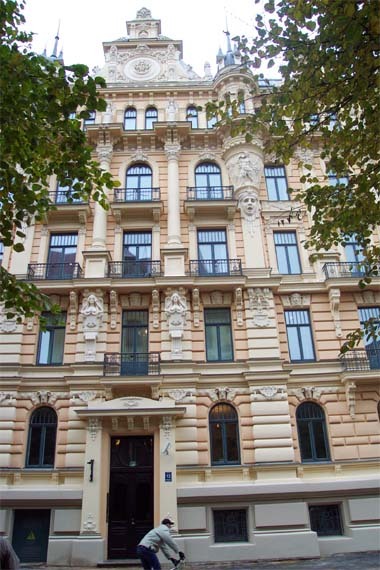 Riga is the city with the most Art Nouveau buildings in the world -- several hundred. One of the famous architects here was Mikhail Eisenstein. The photos below do not do justice to these 100 year old buildings. It's a wonderful city to explore on foot. 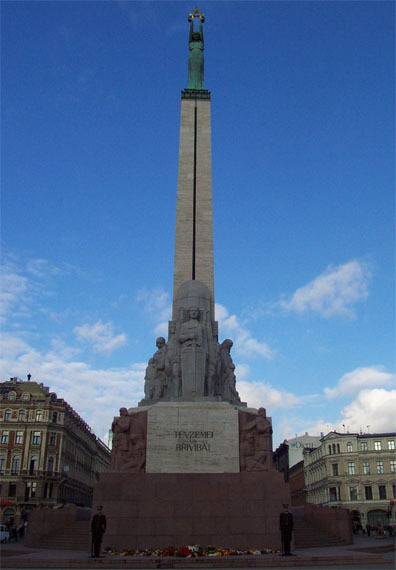 Latvian Independence Monument completed in 1935. It was such a work of art that the Soviets did not destroy it. The Baltic chain came right by this monument. See photo at top. 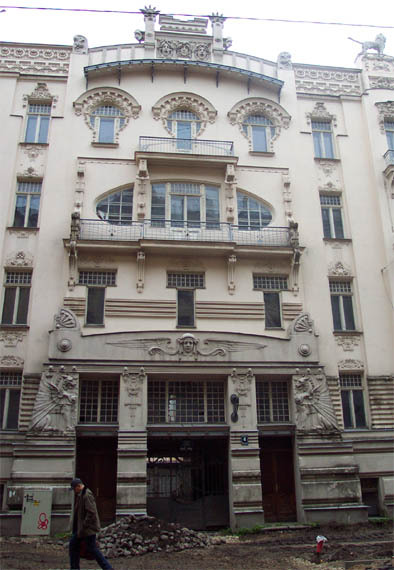 Example of a Mikhail Eisenstein Art Nouveau building. Small photos do not capture the combination of the whole building and the details of the facade experienced when you see it in real life. The flowers are for Latvian Independence. During the occupation leaving flowers meant exile to Siberia. 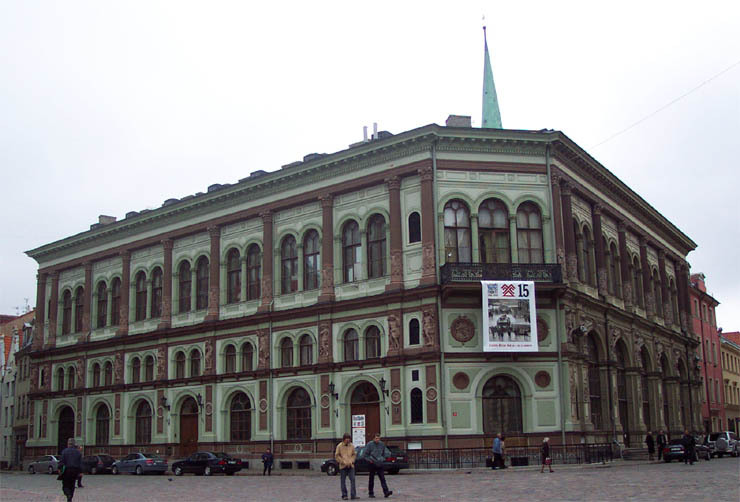 The former Stock Exchange building which had a photo show on the Independence movement. 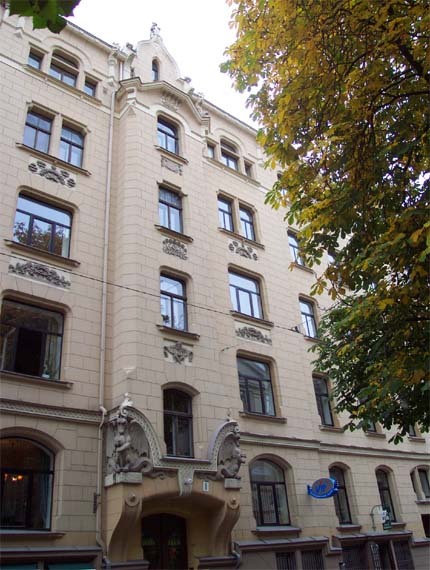 Example of a Mikhail Eisenstein Art Nouveau building. Historically Riga is a German city and the Art Nouveau style in Riga is best described using the German word Jugendstil. 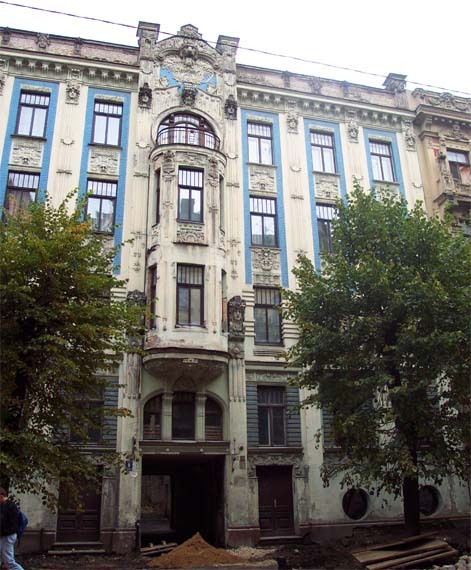 Example of a Mikhail Eisenstein Art Nouveau building. 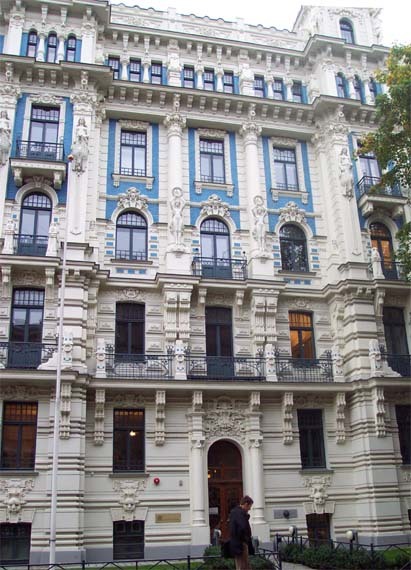 Another example of the wonderful Jugendstil buildings in Riga. 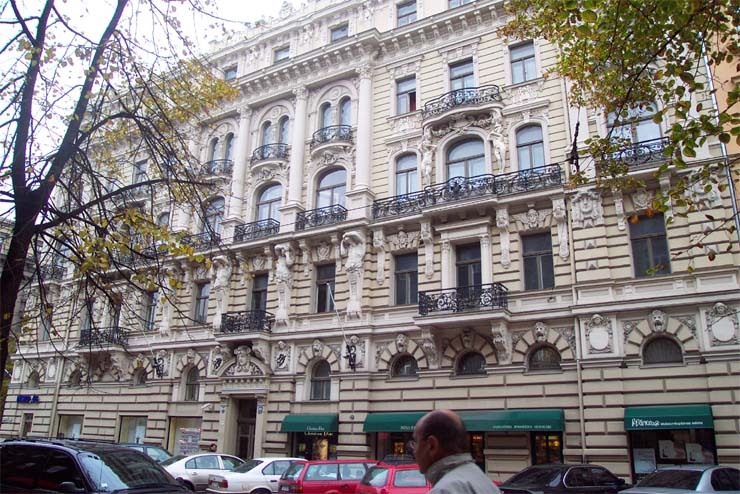 Example of a Mikhail Eisenstein Art Nouveau building. 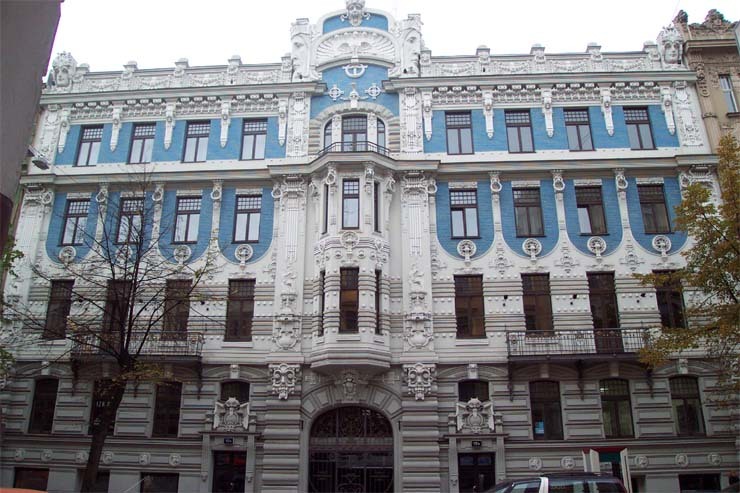 Example of a Mikhail Eisenstein Art Nouveau building. 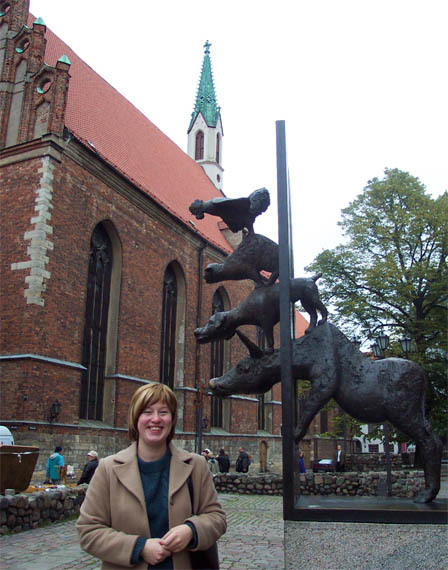 My guide Signe in the old town in front of a sculpture gift from Germany with a chicken on top of a cat on top of a dog on top of a donkey. My driver Martins after we had arrived in Vilnius.